Fort Bragg, located in coastal Mendocino County along Highway 1, is a quaint, small town with a good old fashioned Main Street. 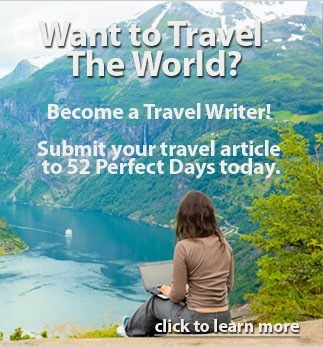 The town also boasts a train depot, mild year round weather and easy access to the beach. 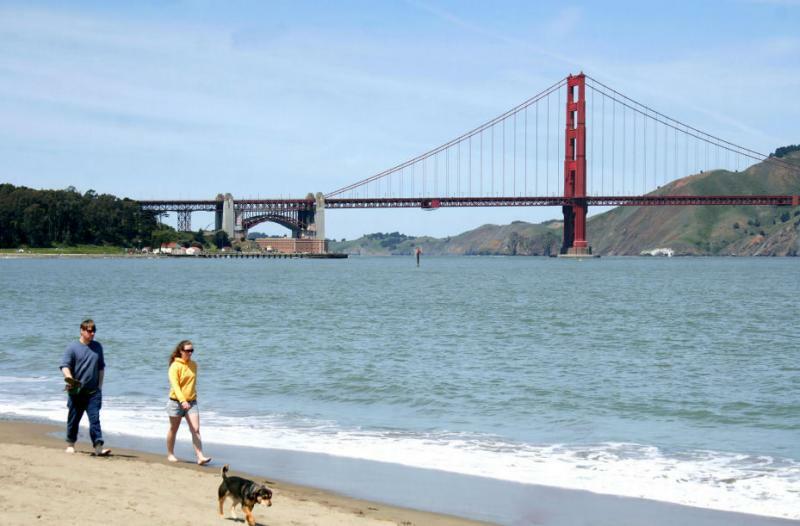 Once a military fort that was founded prior to the American Civil war, today it offers visitors plenty to do and most things without the aid of an automobile. 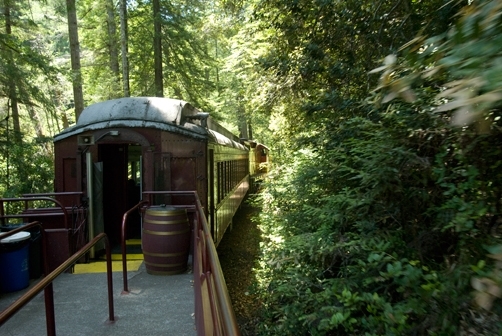 Park the car, and enjoy a day exploring town, a ride on the Skunk Train and great local food and wines. Start your day downtown with breakfast at Eggheads. Decorated in a Wizard of Oz theme, this little joint serves up some yummy food. Try the blackberry pancakes with blackberry syrup, Eggs Benedict with champagne Hollandaise sauce or the grilled veggie omelet with avocado, tomatoes, jack and cheddar cheese. Oh, and if you need to use the restroom just follow the yellow brick road. Literally, just follow the yellow brick road on the floor and it will take you to the loo. After breakfast head a half block to Laurel Street for the morning departure on the Skunk Train. The rail route dates back to 1885 when it was used mostly for logging. 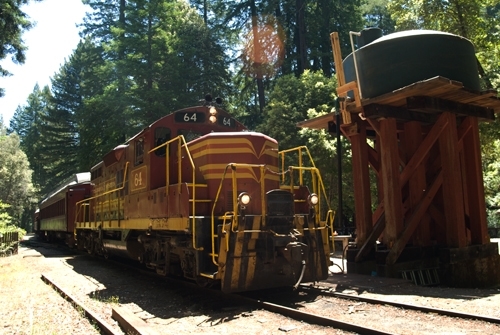 Today the old-fashioned train takes daily trips along the California Western Railroad route to Willits through the coastal redwood forest. The Skunk Train is one of the few flag trains left in the United States. Meaning if you stand along the route and wave or "flag" the conductor the train will stop to pick you up. 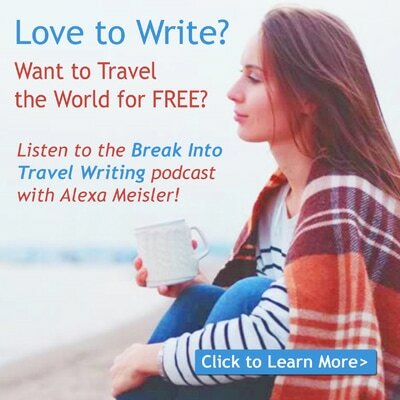 On most trips you will have the pleasure of a strolling banjo player who will share anecdotes, stories and fun songs that add to the ambiance and the experience. Depending on the day and time of your ride you will be entertained by either the "Walking Bluesman" or the "Train Singer". With a short stop in Willits take the opportunity to watch the engine car taken off and moved to what was the last car. The train is now ready for its return trip. Check out the food vendors and kiosks and it is a great time to take photographs of the train. 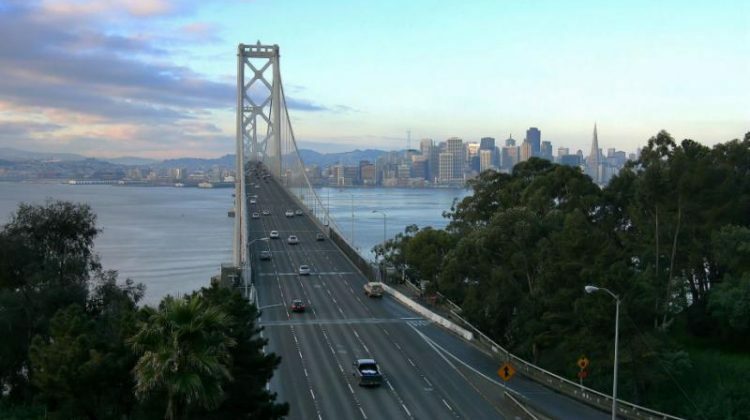 The entire trip is just about four hours and is a relaxing way to spend some time in the California redwoods. When you return to Fort Bragg, head out of the station and spend some time exploring downtown including Main Street and its surrounding shops. Head into Depot Mall and Museum where you will find numerous shops including an old fashioned photography studio (the kind where you dress up in clothes from the past and have your photo taken). The museum consists of train parts, accessories and engines that can be found placed throughout the building. Also housed in the Depot Mall is the Pacific Star Winery tasting room open daily from 11am-5pm. For just five dollars per person sample up to eight wines such as their Charbono, Pinot Noir, Petit Syrah and Zinfandel. 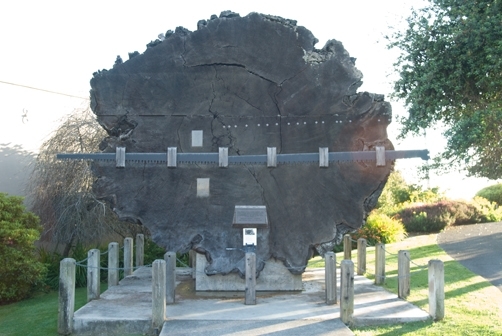 While on Main Street, don’t miss the redwood tree stump monument next to the Guest House Museum. It’s the largest redwood tree known to have grown in Mendocino County with an amazing 21-foot diameter. Cut in 1943, its age was estimated at 1,753 years meaning it started as a seedling in the year 190. For further shopping continue on Main Street where you’ll find quaint shops like Spunky Skunk Toys, the Edgewater Gallery and avant-garde spots like Pirate Ink Custom Tattoos and Art Gallery and restaurants like Nit’s Café offering an Asian influenced menu. Laurel Street and N Franklin are the two other streets worth a visit for distinctive shops like Pippi’s Longstockings for hats, bags and socks, Whistle Stop Antiques, Cheshire Books, Le Sorelle Gourmet Kitchen and Dining Essentials.Art lovers should be sure to stop into The Green Door Studio featuring Dan Hemann sculptures. For dinner make your way to the Mendo Bistro located on the second floor within the Company Store building that also houses art galleries, a raw food institute and spa. The restaurant offers a European style café vibe, food that is made from scratch, geared toward organic and local suppliers all at a surprisingly reasonable price. The Caesar salad with a spicy and robust horseradish dressing and polenta croutons was divine. Entrees like linguine with Caribbean white shrimp in a garlic and lemon butter sauce was delectable. I could actually taste the lemon in the sauce as well as the garlic and the homemade flavor of the pasta; they tasted distinctly separate but perfectly balanced. I have a feeling all the dishes were equally executed by chef and owner Nicholas Petti and his staff who seem to work together creating food of a highly delicious standard. The wine list was excellent focusing on varietals from the local area. Also available are Mendocino county beers and house made sparkling sodas. A light but fulfilling end to our dinner was the house made gelato sampler. Continue the evening with some live music at Headlands Coffee House. Offering music nightly, usually with a jazz flavor, Headlands is a great place to meet a few locals, enjoy a cup of coffee, a local beer or wine and wind down your evening. Sit back and enjoy the small town atmosphere. 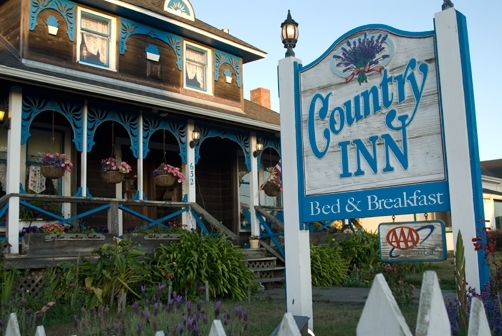 Fort Bragg offers many Inns and B&B’s along North Main Street and one particularly quaint location is the Country Inn Bed and Breakfast. 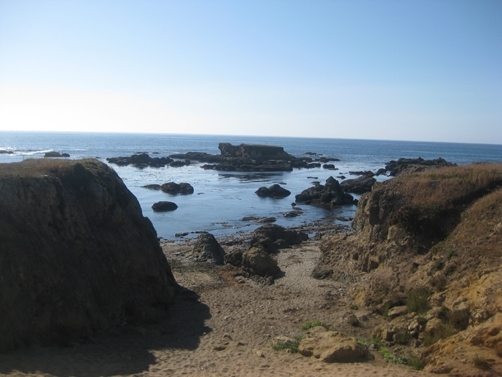 The inn is located within an easy walk to downtown, the Skunk Train and the beach. 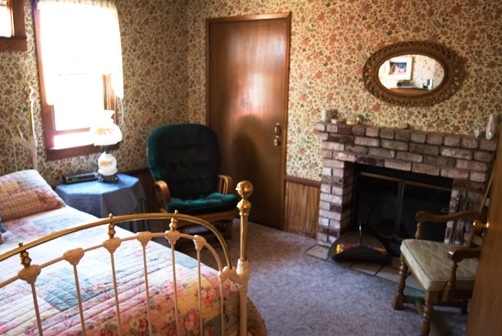 The Country Inn, which dates back to 1893 offers rooms with a Victorian ambiance and is decorated with collectables and antiques. Innkeeper, Cynthia Knauss and her husband Bruce have created a lodging experience with a lot of character and offer a great breakfast each morning such as their signature baked eggs on a bed of artichoke hearts. 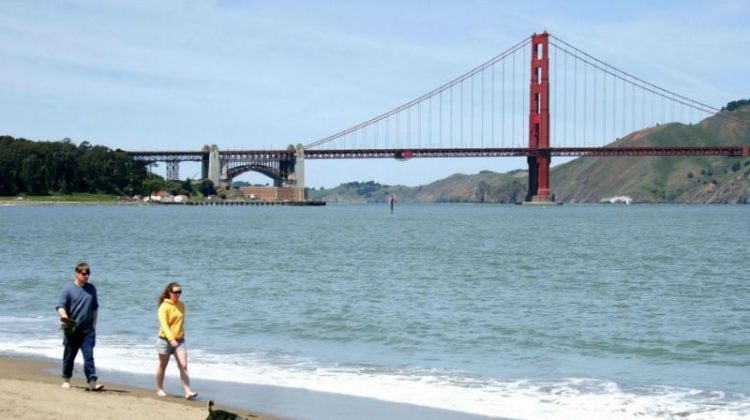 After a full day exploring the charming town of Fort Bragg, the picturesque redwood forest during the Skunk Train ride, tasting some local wines, a meal you won’t soon forget and a bit of live music you may just wonder if Fort Bragg could be the perfect little town you have been looking for. 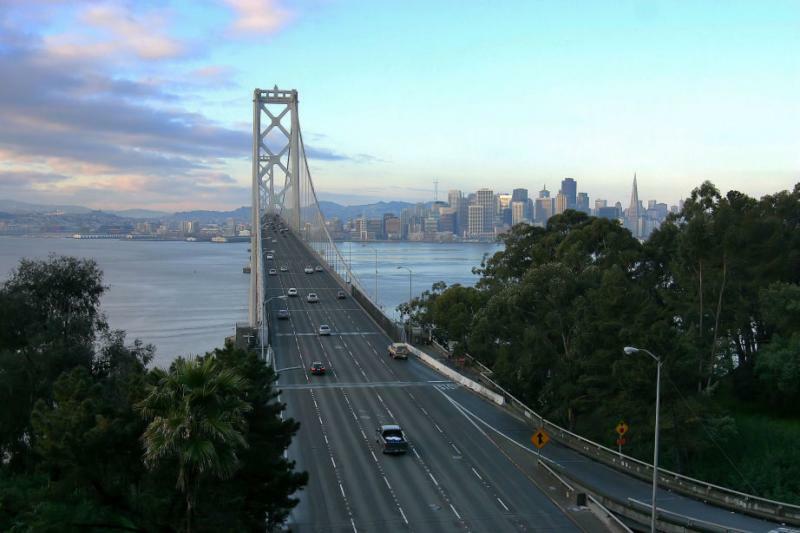 Click her for more articles on the San Francisco area.